Published: Dec. 16, 2018 at 05:08 p.m. 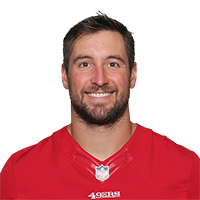 Published: Dec. 17, 2017 at 06:59 p.m.
San Francisco 49ers quarterback Jimmy Garoppolo hits wide-open Celek for 41-yard gain. Published: Dec. 17, 2017 at 05:32 p.m.